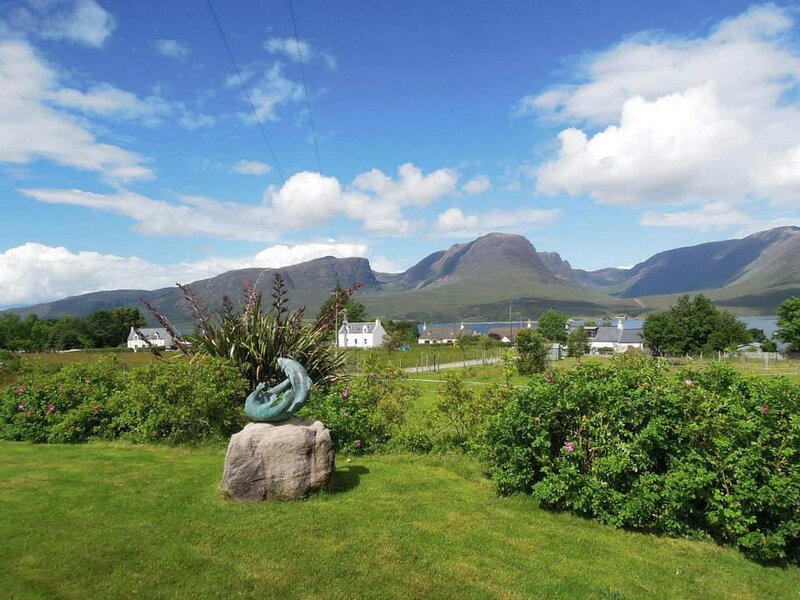 Brynaport is situated in one of the most majestic parts of the western coastal Highlands, and just across the water from the island of Skye. The atmospheric light and colour, together with the region's history and romance, make painting here both tranquil and inspiring. Our day usually starts with a demonstration followed by painting around Brynaport or painting excursions. 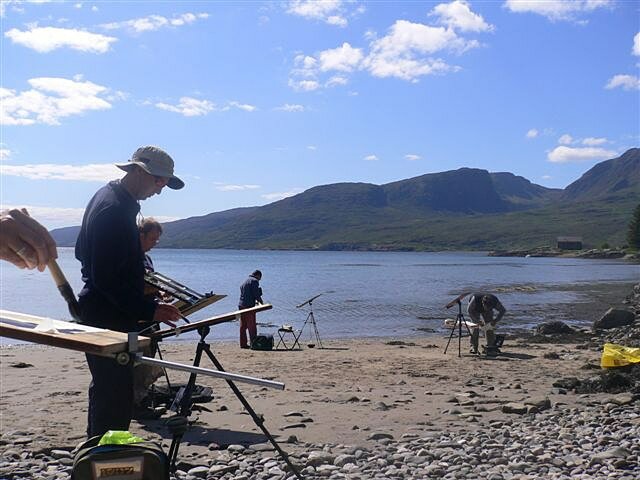 Painting trips might be made to Applecross (over Bealach-na-Ba, the breathtaking, historic mountain pass) or to the fishing village of Shieldaig, with its lovely Caledonian pine-forested island.There is sometimes a boat trip to Kishorn island or inaccessible beaches which includes a barbecue lunch. We have only once been to the attractive yachting village of Plockton, where palm trees line the waterfront, but intend to visit again soon. By late afternoon we return to the studio, so midges are not usually a problem, since we are not far from the sea and they only are out and about at dawn or dusk. Thankfully they are too small to fly during the main part of the day, where even the slightest of winds prevents them from accompanying us. All meals and refreshments are included in the price. A full Highland breakfast is served daily and a large cold buffet is laid out for you to fill your own hamper for lunch. 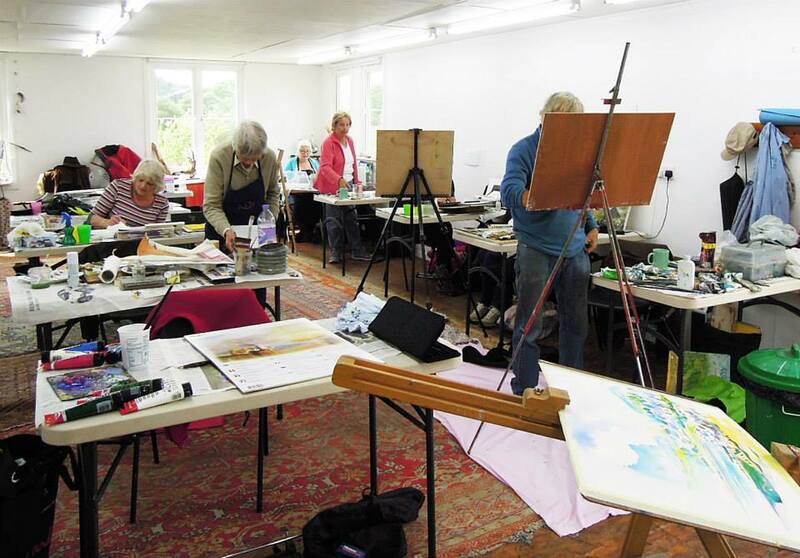 Towards the end of the painting day, tea and cakes are served in the studio, and great pride is taken over the generous three-course dinners which feature local produce and excellent wines from around the world. The last night is one to remember with music and dance and a super fresh seafood feast. "I really enjoyed my week in Scotland, it’s such a lovely peaceful place and I really miss those wonderful mountains across the loch!" "Happy memories of a delightful week and so much fun!" "It was a pleasant surprise seeing you in Saturday’s Daily Telegraph. It reminded us of our wonderful time with you in Scotland. You do search out wonderful venues." "I loved the course, the demos, and the way your were always so enthusiastic and keen to get started." "Lovely to be with you in Scotland - I learn so much on your courses." "Thank you Bettina for a wonderful week in Scotland."